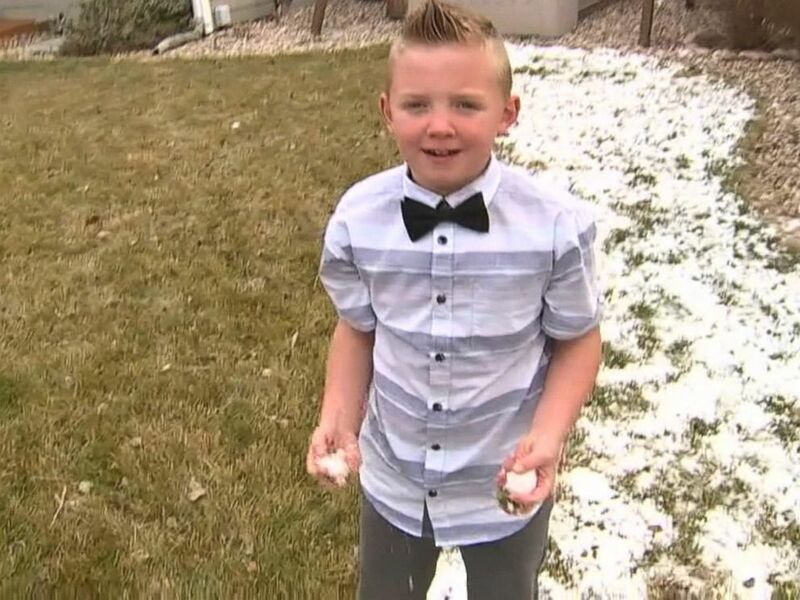 A 9-year-old boy in Colorado convinced community leaders to overturn a nearly 100-year-old law so that kids could enjoy one of winter's simple pleasures -- a snowball fight. 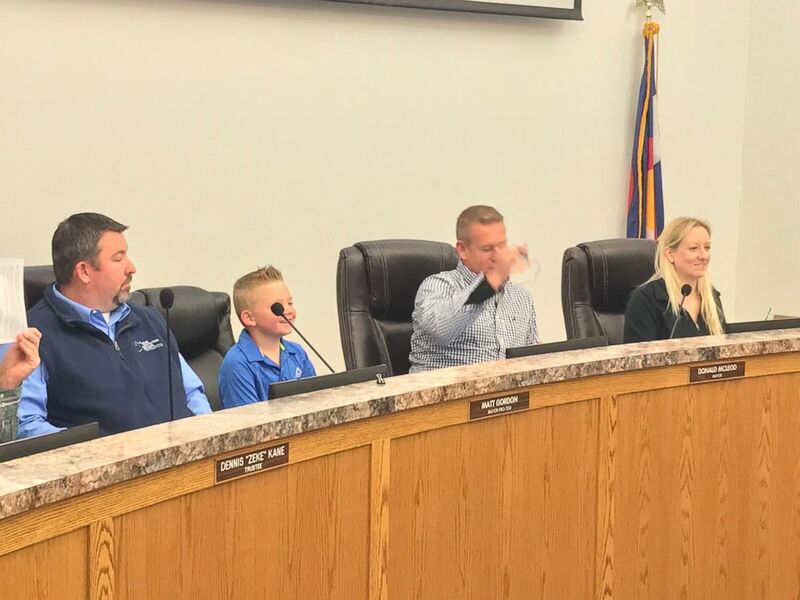 Dane Best, a third grader at Range View Elementary School in Severance, Colorado, had 20 of his classmates write letters of support, and gave a presentation to the town board on why it should be legal to throw snowballs. The ordinance banning snowball fights dates back to 1921, according to the town administrator's office. For nearly 100 years, the winter pastime has been illegal in the northern Colorado town, but thanks to Best's efforts, that law is history. Dane Best, 9, appeared before the Severance, Colorado town hall to change an outdated law about throwing snowballs. Kyle Rietkerk, assistant to Severance town administrator Nicholas Wharton, told ABC News that their office first met with the 9-year-old in November and informed him what he would need to present his case. "I said, 'I'm not going to fight to change the law. If you feel this is something you want changed, then let's take the steps and see if it's something you could do,'" Semmen Best told ABC News. "Research suggests that a lack of exposure to the outdoors can lead to obesity, ADHD, anxiety and depression," he wrote on the slides. "Kids want to have snowball fights without breaking the law -- kids want to have a voice in our town." On the final slide, Best wrote: "the children of Severance want the opportunity to have snowball fights like the rest of the world." Rietkerk said that Best delivered the presentation "like a champ." "He did a brief little introduction about who he was and why he was there, then he went through his PowerPoint presentation and presented evidence to the board," he said. Board members voted unanimously to lift the ban. "Following that he received a little plaque and a gift card that had to be used to buy a snowball maker," Rietkerk said. After the council approved the change, Best went outside and made some snowballs that afternoon. "He and his little brother were allowed to throw the first legal snowball in Severance," Rietkerk said. The administrator's office said the Severance Police Department is also recognizing the third grader's efforts by making him an honorary deputy in the coming weeks. Rietkerk said that Severance holds open forum weeks to help inform the community about local government, and hopes that Best's victory will inspire and encourage others to get involved in government. "They can come and have time with the mayor and the town board to talk about the rules and laws of Severance. We encourage kids to learn and change it because we need someone from the community to come forward to put these things on the agenda."